Olimyrum® Frankincense Liquid is a basic care for dry, stressed facial skin with skin redness and itching. It is estragole-free * and free from chemical-synthetic fragrances, colors and preservatives. 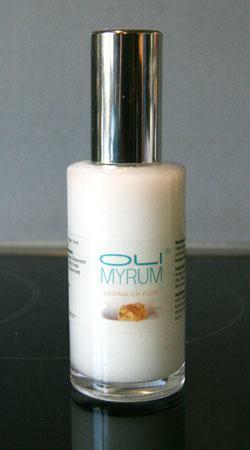 Olimyrum® Frankincense Liquid nurtures, protects, tightens and regenerates. Developed by Olimyrum UG in collaboration with Frau Dr. med. Gunda Prauser (Dermatologin). This myrrh perfume oil is extracted from the finest myrrh resin. Use one or two drops to perfume your bath, or mix with other scents to create your own perfume.